The eyes are among the most important organs in the human body. Losing your sight is something that is really hard to handle. People with bad vision have a really hard time in their lives. That’s why you need to take as much care as possible in order to keep your vision in the best shape for as long as possible. In this article, we are going to talk about how to keep your vision perfect. We’ll tell you what you need to do if you want to see perfectly until you reach a deep old age. Follow up and learn more. You probably know that living a healthy life is good for all organs in your body. Living a healthy life is also good for your eyes. Stress is among one of the top 5 reasons for serious health issues of the 21st century. Stress relief is highly important for your eyes too. If you take care of yourself in general, you actually take care of your vision too. Unhealthy food is disastrous for you in every sense. It is the number one reason for most serious diseases that happen to you including the number one killer – cancer. All organs react to bad food. Too spicy, fried, GMO, salty, and food with too much sugar makes all organs struggle while doing their job. After years of living this way of life, the eyes too will feel the burden and will start working harder and the person will have a much worse sight than in the younger age. Smoking is known as a killer of the human organs. Research has shown that smokers are much likely to develop a cataract, optic nerve illnesses, and macular degeneration. All these conditions are blind-threatening. That’s why all optometrists and ophthalmologists strongly advise their patients to stop smoking. People who are occasional smokers and have a bad family history with eye conditions are also strongly advised to quit smoking immediately. Exercise is the number one option in the fight with unhealthy life, food, and other bad habits. A good exercise and time spend in motion are perfect for battling stress and consuming unhealthy food. It keeps the blood flow active, it helps the metabolism do its job properly, and of course, it burns the body fat which is one of the most important reasons for developing health conditions. Until the age of 50 vision is supposed to be pretty much okay. However, as you come closer to this age it is recommended you do eye test more often. Every 3 or 4 years until the age of 50 is just fine. Regular testing is important in order to find developing illnesses that only professionals can spot. Discovering them before it’s too late is very important. 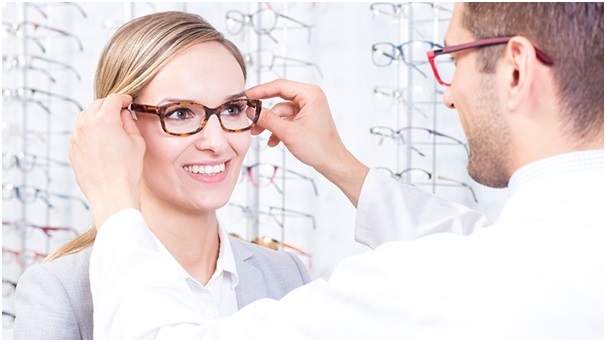 Look online for eye care near me and find some good eye centers that are close to your location. We take sunshine and summer sun for granted. We don’t realize how dangerous it can be for our eyes. Every optometrist will tell you that limiting UV rays that get in your eyes is highly important. You need to invest in premium sunglasses that will block 99% of the rays. You also need to limit the time spent looking at the screen of your Smartphone and computer. The brightness coming from them and concentrating on one point of the screens for a longer period of time is dangerous too. Sleep is essential for the proper working of our body and mind. When we sleep our eyelids are closed, but while we dream, our eyes still work. This work, however, is not the same as we’re awake. When the eyes are open they have to battle all kinds of problems like dust, dirt, cold and dry air, and similar things. Being closed, the inside part of the eye also rests like the other parts of the body. Not having enough sleep, or sleeping not deep enough is a problem for the eyes. A long period of insomnia can cause problems for your vision and medications will be needed if you want to cure the problems that will encounter. See more about insomnia and visual impairment here.